Bit of a different post today, I hope you guys don’t mind! Just wanted to share some of the photos I took of the amazing animals at Yorkshire Wildlife Park yesterday. You may or may not know that I am a massive animal lover and YWP is my happy place, its probably the only place I don’t care about what I look like and it sorts out any funk I may be in. As always, leave me links in the comments of posts you think I’ll like? This is something I am thinking of doing fairly regularly so let me know if your into it? 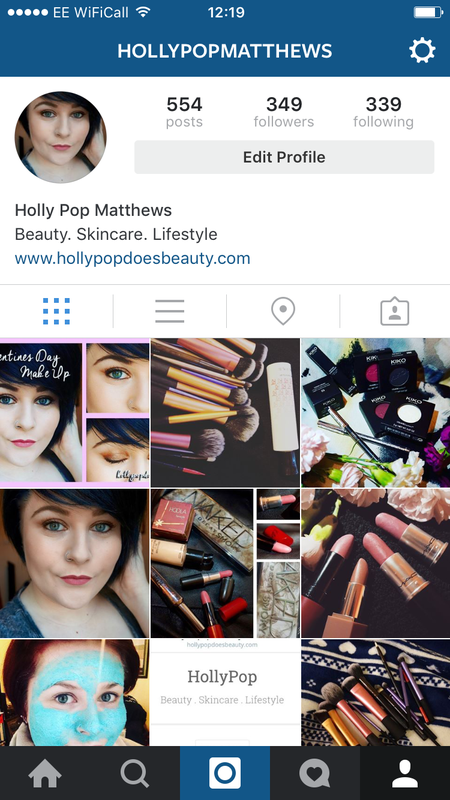 If you comment on a photo on instagram telling me you’ve come from this blog I will happily follow you back! Ive only gone and got myself a new iPhone! So I thought seen as its all Ive been obsessed with all week we could have a little whats on my iPhone post. I went for the iPhone 6 in space grey in the 16GB model, this has a 4.7 Retina Display with a stunning 8MP camera and fingerprint identity technology. The case that Im currently using is designed by Skinny Dip for urban outfitters. I think the cute pink flamingos work well on the Space Grey. For my lock screen I used a photo collage featuring most of my favourite people, this really does cheer me up overtime I see it and its nice to have them there all the time. The actual home screen is clean and simple with all the apps I need right on the first screen, I keep a selection of apps organised in different folders that Im going to talk you through. Some of my favourite apps on the home screen are social media apps, obviously wordpress so I can keep up with you lovely lot and my Virgin TV anywhere so I can never miss a TV show. Two of the features I love about the iPhone 6 is the unique screen control that allows you to move the screen down by double tapping the home button (because my hands are too tiny for the larger display) and the brilliant apple pay feature. If you don’t get an iPhone for any other reason, get it for the apple pay. Its honestly changed my life! This where I keep everything for editing and uploading photos. I have my trusty instagram app, the remote control for my Sony Alpha 500 and a few favourite editing apps. My favourite app from the bunch is Over, it allows you to edit photographs to an outstanding quality and comes with loads of typographic options and cool pieces or artwork as you can see. I dont do a lot of shopping on my phone so this folder is probably labelled wrong, maybe I should change it to something more appropriate like lifestyle or something? This is where I keep things like my online banking app, a few shopping apps and my trusty trusty Uber App. I feel like everybody uses uber but if you don’t heres the lowdown. Its basically a cheap and convenient way to get your taxi’s, you simply tell the app where you want to go, your driver shows up and you can track your ride on the app and then you pay cashless either via paypal or apple pay. Im not much of a gamer, I pretty much can only manage Guitar Hero and thats my lot. But cute little iPhone puzzle games really do get me. The game I am currently absolutely obsessed with is called Two Dots and the idea is to get rid of as many dots as possible by connecting them horizontally or vertically. Like a modern day game of squares. The thing I like most about this little game aside from its addictive nature is the simple and clean design. I think it really works well and doesn’t confuse and overwhelm your brain. Its no secret that the new iPhones have some brilliant health features featuring an in built pedometer and lots of other gadgets to get you thinking about your health. My favourite app at the moment is the Calm app, I struggle a lot with sleeping and always have done. The app includes a bunch of different scenes and meditation techniques to help you chill out. The company also sell a supporting book that goes along with App that I plan to buy as soon as possible. Whats your favourite apps that I should know about? As always, leave me links to any posts you think I’ll like in the comments. Firstly, if your thinking eurghhh HollyPop this isnt the kind of content we come here for! Well as much as I know that, I also like to think you come here for me and the youtubers that I love are a big part of who I’ve grown to be yano. I worked really hard on this post so I hope you enjoy it, if you prefer the more beauty related posts, I’ll see you on next week for a valentines day inspired make up look! When I say I watch youtube, I don’t just mean the Vloggers and the ‘Youtubers’, Im in there for the weird stuff, the viral stuff, the cat videos, the trolls and everything in between. I like the internet at its wackiest and I love falling down youtube black holes. For the purpose of this post Im gonna stick to the ‘Youtubers’, the people I watch everyday and see more than my friends and family. So lets kick this off where it all began shall we? The first channel I ever subscribed to on youtube, the first time I felt like someone I’d never met was one of my best friends, the first person that made me laugh so hard I thought I’d pee and the first person that made me so emotional for someone I’ve never met. Beautifully intelligent, talented and one of the most unique people I’ve ever come across. I find myself using her funny little words and expressions in my everyday majestic life and she just warms my heart. Jenna is originally from Upstate New York, Rochester and has lived in Boston where she completed her Masters degree in psychology before moving to LA where she now lives with her three gorgeous dogs and boyfriend Julien Solomita. Most people know him as Jenna Marbles boyfriend but he’s so much more that. He is one of the most artistic Vloggers that I watch managing to strike the perfect balance between beautiful time-lapse, scenery and his daily life. Its a real talent to keep people that interested in Vlogs for so long and I think Julien does it perfectly. He genuinely seems like an all around nice person and Im glad he took the decision to share his life with the internet because I really look forward to those vlogs. Jenna and Julien also have an amazing podcast together that remains free to watch and listen too thanks to the varied and perfect introduced sponsors. I watch this every week and whilst the content doesn’t always appeal to me the way they speak about it makes it always entertaining. You might think you don’t know who Roman Atwood is but I guarantee you’ll have seen one of his prank videos. The guys pretty much an internet legend. Although I must say Roman’s pranks aren’t the reason he’s one of my favourite youtubers, I absolutely love romans Vlog channel with his friends, family and daily antics. His vlogs are so unbelievably real, no sugar coating or fakery just real life family vlogs. He instills a positive message into his viewers and the people he surrounds him with and I think its a message that it doesn’t hurt to live by. Everyone needs a little more positivity in there life from time to time. Blogger and Youtuber Zoe Sugg has smashed the internet, caused a mixed reaction amongst beauty bloggers and become incredibly successful with two best selling novels and a range of beauty products its hard to ignore her. Her main channel is a mix of sit down videos and collabs but I really do prefer Zoe’s real life stuff like the Vlogs and the blog posts. I watch her main channel videos religiously but my heart really lies with the vlogs, because its in those vlogs that you get to see the unpolished zoe who really just loves spending time with her dog and eating pizza. And thats when I really can relate to Zoe.